This post concludes my four-part series on the cultural context of contemporary popular science writing. The preceding three parts are here, here, and here. Though there’s more to be said, I hope you enjoyed what I managed to get in here! This past Monday, there were two public lectures given to packed Princeton auditoriums. Both drew on material from the social sciences, but neither of the speakers—New York Times columnist David Brooks and Harvard law professor Cass Sunstein—holds an advanced degree from (or is employed by) a social science department. Academic employment and/or credentials are standard benchmarks for “expertise” in any field, and their absence suggests interesting things about the shifting status of science’s relationship to the public. Since that’s been one of the main themes of my posts on the fall of Jonah Lehrer, it’s a fitting way to start the final post a little closer to home. Now, my opening is a little misleading: Cass Sunstein and David Brooks are pretty different. For one, Sunstein is both an academic (he teaches at Harvard Law School and directs a new Program on Behavioral Economics and Public Policy) and, until very recently, the administrator of the White House Office of Information and Regulatory Affairs. Brooks is a journalist. This is no put-down—he’s one of the more famous and, perhaps, influential of his kind—but it is a distinction, and a relevant one for our analysis of the landscape of popular science writing and what happened to Jonah Lehrer. 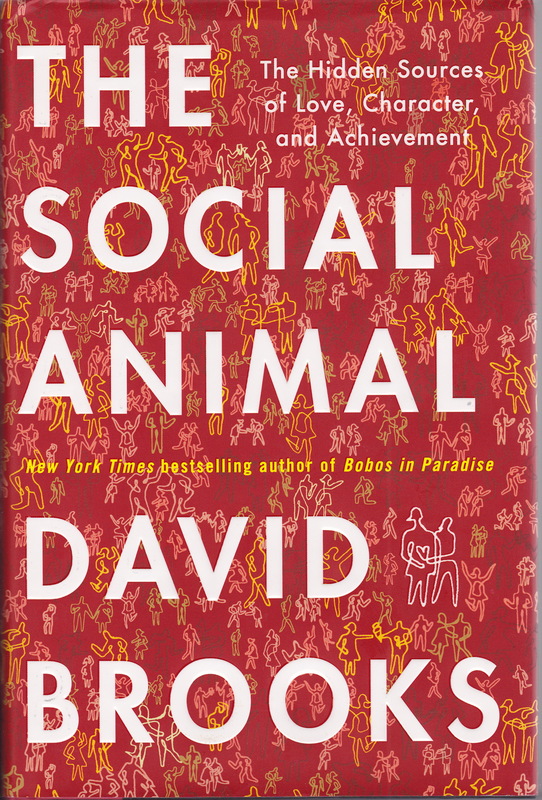 Like Lehrer, Brooks recently published a book that builds social science studies into a theory of human nature that is part his own and part an admixture of what’s out there in the human sciences and cultural more generally. It’s called The Social Animal, and it’s gotten its share of bad press. Things I said in my David Brooks phase (here and here) almost two years ago resonate with my more recent analysis of Lehrer. Specifically, I thought about what it meant for journalists to reach to the social and human sciences for “the hidden sources of love, character, and achievement” (Brooks’s subtitle) or “how creativity works” (Lehrer’s). I think there’s an important sense in which this is different from, say, Steven Pinker or Jared Diamond—both with Ph.D.s in the sciences and employed by major universities—reaching around in the sciences for evidence in support of their own theories. But why? After all, Pinker’s Better Angels of our Nature synthesizes work far afield from his own specialty; Diamond, too, stretched beyond his own credentials to write Guns, Germs, and Steel and Collapse. What makes them so different from journalists like Brooks, Lehrer, and Gladwell? Well, for one, this breadth on the part of credentialed scientists can result in praise rather than pushback by other academics: witness, for example, Peter Singer’s review of Pinker’s book, or Jerry Coyne’s favorable comparison of it to Brooks, Lehrer, and Gladwell. Let me emphasize this point: Pinker thinks that, when someone’s writing about something solely on the basis of someone else’s expertise, they’re pretty likely to mess it up pretty badly. Both Pinker and Coyne (mentioned above) see this as especially true for science (the latter called journalistic takes on scientific results so many efforts to “blend On the Origin of Species with People magazine”). So, between Pinker and Coyne, we have a pretty harsh condemnation of popular science writing when it’s done by professional writers – which maybe isn’t that surprising (given who pays their bills), but is certainly food for thought in light of Lehrer’s recent downfall and the general question of the relation of “science” to “popular science,” which I take to be of interesting to readers of AmericanScience. Let me just close with two final points. The first is that it might well be said that Lehrer lost his job not for scientific errors, but for journalistic ones. That is, the precepts he violated weren’t the epistemic norms held dear by scientists (or at least, not just), but the revered precepts of documentation and fidelity to sources of journalism. This is not to say there’s nothing interesting about the sort of science Lehrer was proffering. After all, are these, as one recent critic suggests, “just self-help books dressed up in a lab coat?” And what does recent, rising skepticism about “neuro-everything” (e.g. in the New Yorker) have to do with this? It must matter that these journalists (Brooks, Gladwell, Lehrer et al.) are drawing heavily on psychological theories, after all. But that’s a topic for another post (and another project). Second, and by way of conclusion, I want to turn to a peculiar moment in Pinker’s takedown of Gladwell. He accuses him of invoking “the Straw We,” in which “Gladwell disarmingly includes himself and the reader in a dubious consensus” on a certain belief which is then called into question with evidence from a study or a conversation with a scientist. Pinker sees this as a problem—and he may be right—but I also think it’s one thing journalists writing popular science have going for them. Rather than “the Straw We,” we might call it “co-learning.” For example, when Michael Pollan goes and talks to experts on a range of topics for The Omnivore’s Dilemma, he’s forthright about the state of his knowledge and is there, learning along with the reader, as the experts dish. Sure, it might be nice to hear from the “experts” directly (especially for the experts, given the size of the market for such stuff). But I’d say there’s also something nice about a lucid, informed, outsider perspective on science (and everything else), learning along with the reader (even just as a narrative conceit). Of course, I’d also like to see more Ph.D.s get hired by magazines and newspapers—but given the state of that industry it just doesn’t seem likely. This is why I scare-quoted “experts”: even though Jonah Lehrer messed up, I think we don’t want to let this moment shame us into limiting popular science to scientists’ own ideas about what matters in what they’re up to. There’s a healthy terrain between beat reporters and practicing scientists, one many of us—including historians of science—are well-equipped to traverse. 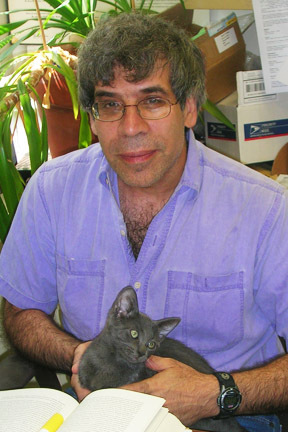 This entry was posted in Hank on December 4, 2012 by americanscience. Great piece and great series; thanks!